Good work YD. The proof of your progress is in the graph! Upwards, upwards. I'm looking forward to DEC's #s as well. Keep it up! This is still a nice month. 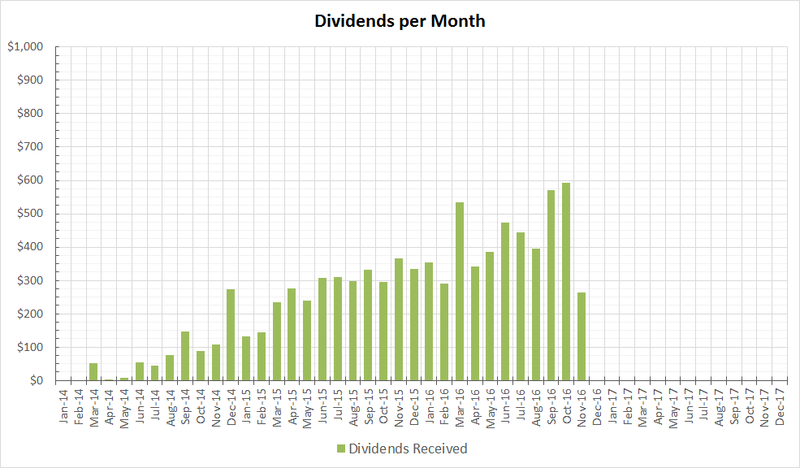 From my side I like to review my dividends on a quarterly basis so I can avoid the feeling that a particular month was not as good as some other ones in the quarter. Congrats on a fine month. I'm looking forward to January and your big dividend payout. Solid work Young Dividend! I love the chart you're showing. Love the progress. Nice total for the month. Looks like we have a few names in common paying us on this "slow" month. Keep it up!